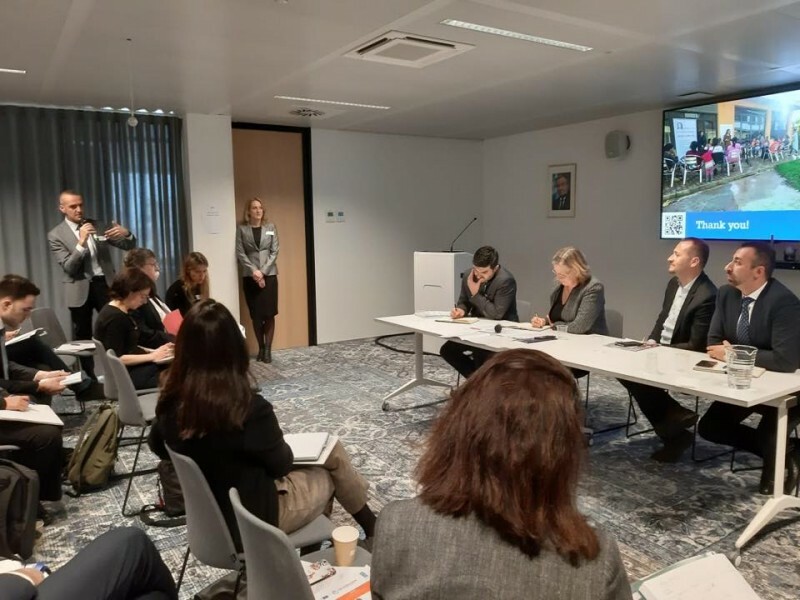 The team participated in the event ‘Roma Inclusion in the Western Balkans: the forward look, policy vs reality’, organized by the European Commission DG NEAR, United Nations Development Programme - UNDP and World Bank on 18 March 2019, gathered all regional stakeholders to discuss the results of the 2017 Regional Roma Survey and their impact on the post-2020 vision for Roma integration. The RI Action Team Leader Orhan Usein focused his interventions on the post-2020 process on RomaIntegration, which he emphasized must be linked to the concept of Human Capital Development. Greater involvement of different line ministries that will work towards decent life for all, including Roma, should be the main driving force of this concept. He also reflected on the Regional Declaration on Roma and EU Enlargement goes in line with this concept. This commitment, on behalf of the Western Balkans economies towards Roma, expected to be signed by the respective Prime Ministers, will provide an excellent basis for multi-sectoral approach in terms of increased quality of services and adjusted mainstream policy processes to address Roma integration in the post-2020 period. The Roma Integration team also ensured the participation of the National Roma Contact Points from the enlargement region in all the events, bridging the region closer to their EU Member States counterparts. The Action Team and NRCPs also participated at the Awards ceremony devoted to “Unknown Heroes”, Roma women who - through their work and commitment - have improved the social integration of Roma or brought positive change to their communities.